In September, we set off once again to see how the released birds from Paradise Park were doing on their new island home. The weather was set fair for our three day visit, and we spent most of the time around the coast at Sorel Point. 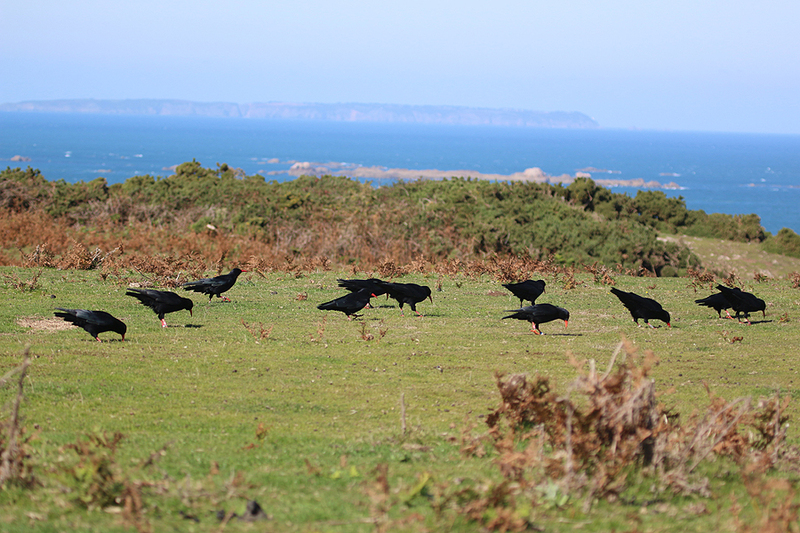 The birds themselves were behaving just like any other choughs we have seen in the wild, spending most of the time heads-down foraging. Each bird has a combination of coloured leg rings, making it possible to identify individuals. 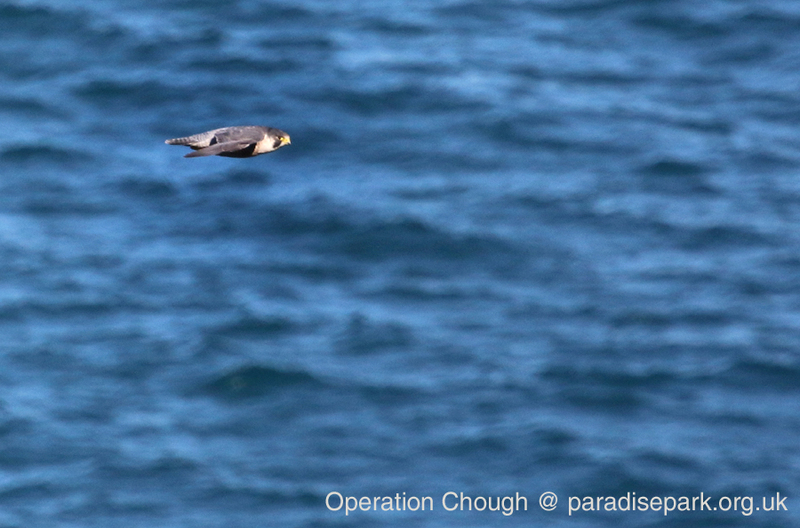 The newly-released birds can also be picked out as they have a small tracker aerial attached to their tails. It was quite an emotional experience, seeing the birds again. Back in May and June these were the birds we were supplementary feeding in their nests at Paradise Park. Some of these youngsters weighed less than twenty grams when we were rearing them, and now here they were learning about life in the wild. 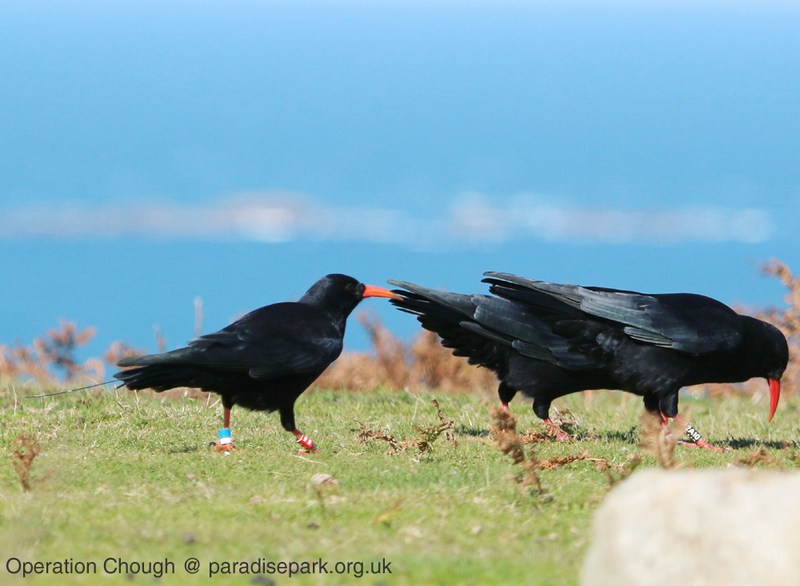 The choughs also have one or two friends – actually more like one or two hundred. 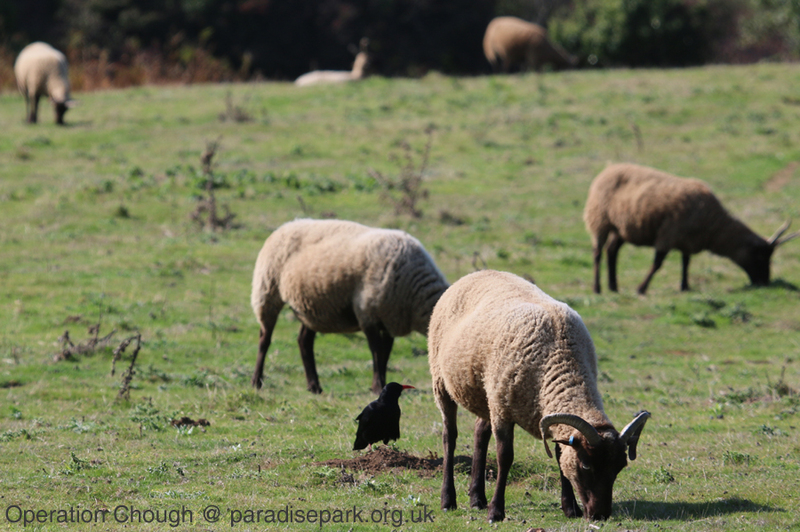 The flock of Manx loaghtan sheep has now grown to about two hundred, and they spend most of the time browsing the vegetation and trampling down the ever-growing bracken. They have even provided some of the lining material for the breeding birds’ nests. In some of the hotter days in the summer the choughs have also taken advantage of their water bowser to quench their thirst. We were so impressed with the dedication of the Durrell Wildlife Conservation Trust staff and volunteers working with the choughs. The time we spent on the cliffs was truly splendid, the last few days of an Indian summer surrounded by some incredible wildlife – I even got a glimpse of a Dartford Warbler – a bird I have been wanting to see for forty years! (Well worth the wait). 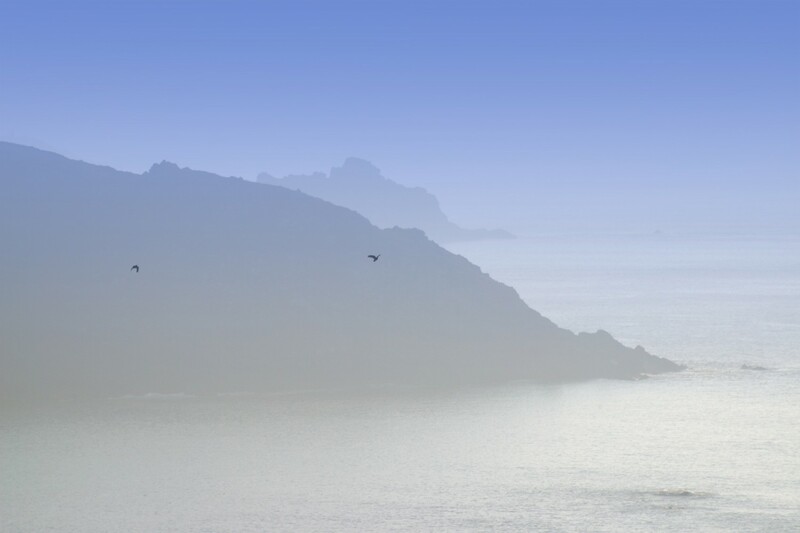 This entry was posted in Jersey on 30th September 2015 by RayHales.